We’re confident we can find you a better deal – try us and see! 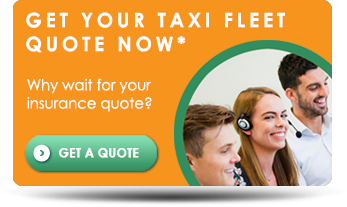 Taxi Choice have been providing taxi fleet insurance for over 20 years and are renowned for our exceptional rates, high-quality cover and personal service. We have one of the largest panels of providers in the UK so whether you have 2 vehicles or more than a hundred, we’re confident that we can beat the renewal price from your current insurer or broker. We have a dedicated team of fleet account handlers who know the industry inside out and will source reliable cover for your business. Whatever your requirements, give us a call on 0333 200 0089 and ask to speak with our taxi fleet team. Alternatively, please fill in our short online quote form now and we’ll be in touch at a time that is convenient for you. Still got all your vehicles on single policies? Then switching to a taxi fleet insurance policy could save you a great deal of hassle, time and money. A member of our dedicated team can help you through the process and vehicles can be added as and when they’re due for renewal.